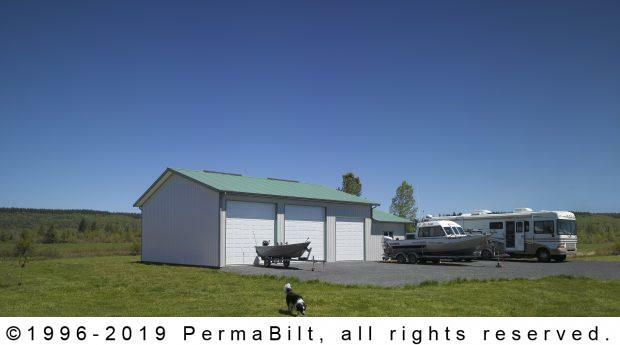 An Onalaska Washington customer needed storage for a variety of items including a 31’ motor-home, a 27’ boat and trailer and a full size pickup truck. (Nice toys!) 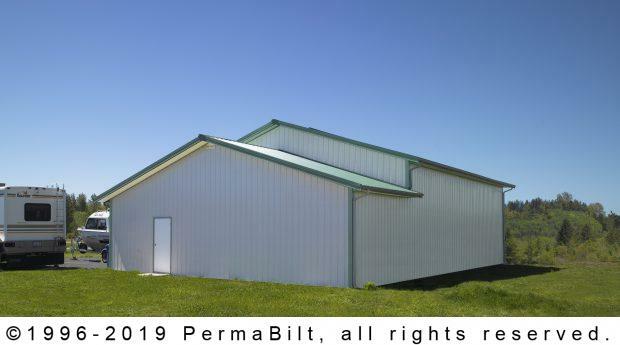 The PermaBilt® Building Representative spent considerable time with the customer to determine his needs. Then once that was determined he designed this smart building to meet the customer’s requirements. 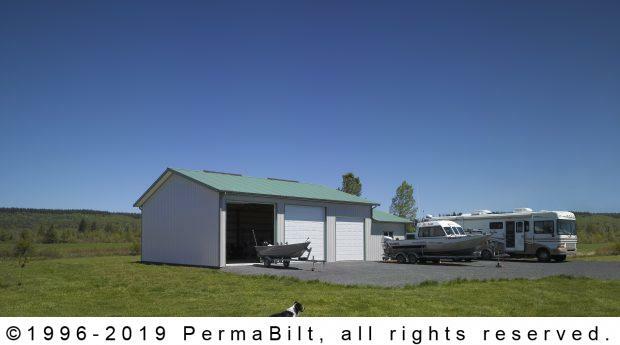 The design has 2) 12’x12’ garage doors as well as a 10’x10’ in a section with a 14’ eave height. There is also a 10’ tall section of building on the end to use as a workshop. The customer has the best of all worlds with this building. He also added enclosed vinyl soffits on the building to finish off the overhang. The customer was thrilled to have a building that accommodated all his needs in this attractive, cost-effective design.